We Are Proud To Introduce Our Newest Model. . . The Busse Combat Flak Jack ! ! ! 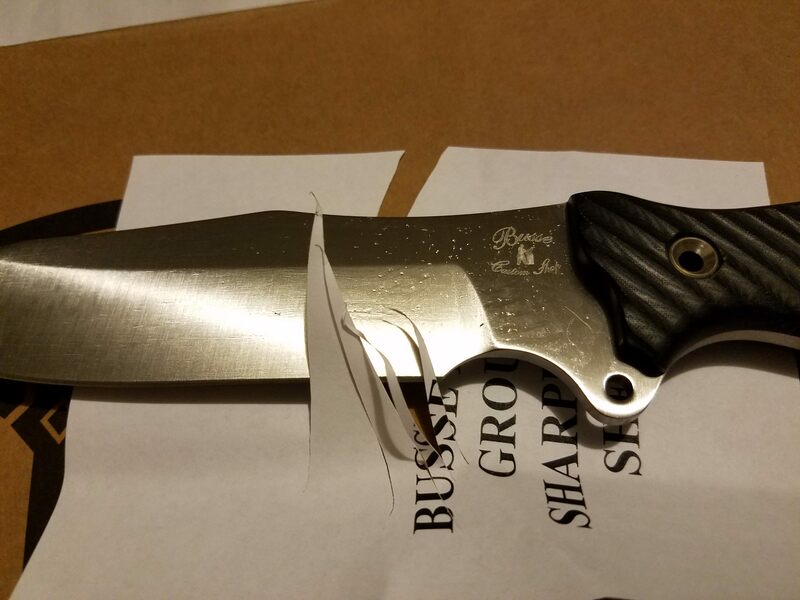 Discussion in 'Busse Combat Knives' started by Jerry Busse, Sep 26, 2017. F'lar, bmilla35, CookieRawwr and 7 others like this. That micarta is even better than Jerry's original picture. Wow! Yes. Black with grey, green and white. It looks good. 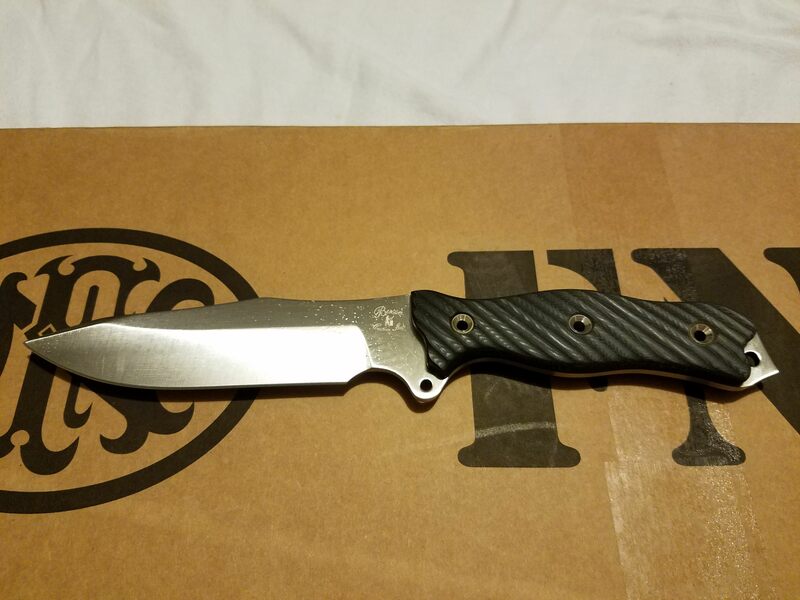 Yeah I like that micarta. That is GORGEOUS @ohiojerry !!!!! I put my old knives in a snow hole and they don’t look nearly as nice. bmilla35, PA Trout, ScoMa and 1 other person like this. Looks great, I should of signed up for this offering, but can't order them all lol. She came!! Looks slicey!!! I likey!! Oily little bugger. COPIUOS, F'lar, bmilla35 and 5 others like this. The Flak Jack has to be one the nicest knives that I own. The Micarta is stunning in the light. The ergonomics of both the handle and choil are spot on! 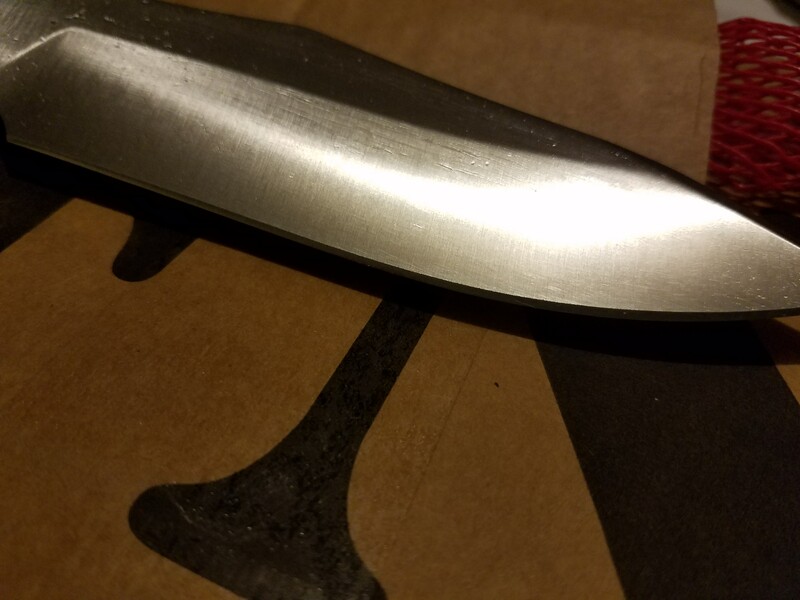 This is my first satin Infi blade and it doesn’t disappoint, absolutely perfect. The knife did not come sharp, it arrived screaming sharp. It zipped through paper smoothly. 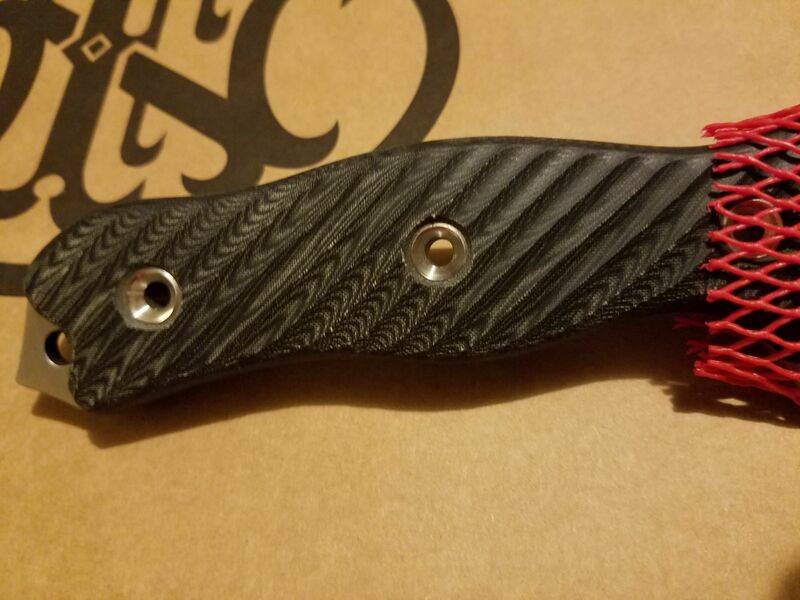 I really can’t find anything wrong with the construction of this knife and I usually always do. Great offering! Busse has even picked up their packaging game. It took me 5 freaking minutes to unwrapped the Flak Jack. MacLaren1, F'lar, LizaMari and 7 others like this. 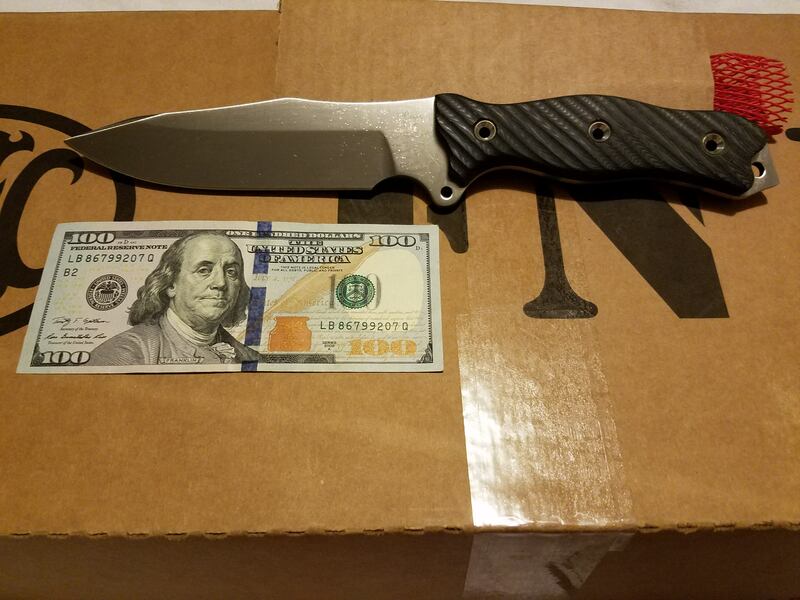 ^ great pic of a fantastic blade! F'lar, Leonardo63 and TheirProtector618 like this. MacLaren1, F'lar, T90 and 6 others like this. Received my snow hole today. Got it for collecting, not using. I’ve got to say, I’m disappointed. In myself for only ordering one!! Might have to get a battle grade on the exchange for use, because this thing feels great. Will try to get some pics up later tonight. LizaMari, JohnM, hydeinmind and 2 others like this. 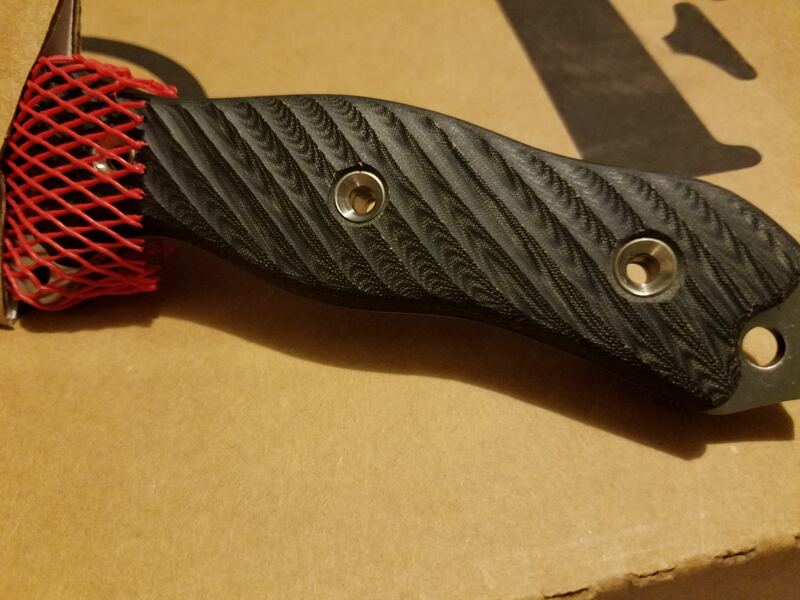 What’s not to like about this knife , really, the micarta looks absolutely stunning , I never seen one like this and finally an awesome knife to be used as survival not to mention for collection if you’re not planning using it . JohnM and ScoMa like this. I have a feeling we aren't alone in that feeling...lots of us will be kicking ourselves for not picking up at least 1 user. It's the perfect size to do a majority of whatever is thrown my way. JohnM, ScoMa and Auricus like this. LizaMari, T90, JohnM and 1 other person like this. I think that would be an easy decision for me. I like this flak jacket a lot. Would look great with paper scales too . F'lar, ScoMa and bmilla35 like this. Oh man..... I can't wait for my two to get here. I didn't do CS, though. I did DC. And a BG. Probably both will be users. At one point or another. Anyone pay with PayPal on a CS get shipping yet?